Celebrate Mardi Gras during the entire month of February! Every month, without fail, Applebee's has a new drink special. 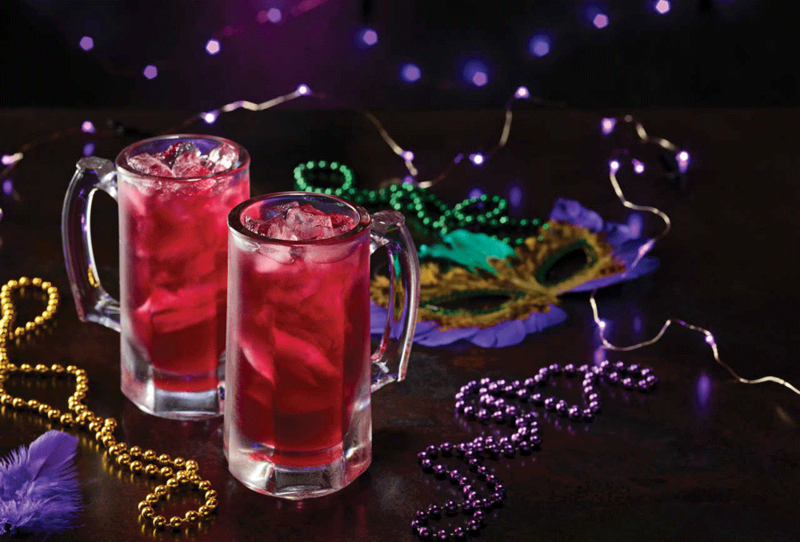 Following last month's $2 Captain and Coke, February's Neighborhood Drink of the Month is the $1 Hurricane -- and it's all in celebration of Mardi Gras! This New Orleans-inspired drink will be available a little longer than usual because Mardi Gras isn't until March 5, meaning patrons can enjoy the Hurricane from February 1 to March 5. The Hurricane is served in a 10-ounce mug and is a combination of rum, passion fruit, orange, black cherry, and lime juices, according to Applebee's. It also comes with a masked stirrer or Mardi Gras beads (but like, not in the way that you're probably thinking ...). As always, please drink responsibly. We know they're super cheap, and you'll probably be tossing 'em back like they're nothing, but let's (try to) make smart choices here, peeps. What do you think? Have you tried other monthly specialties from Applebee's, like its $1 Long Island Ice Teas, $1 Strawberry Margaritas, or $1 Zombie cocktail? Let us know in the comments below.